Well I hope you have all been enjoying the Olympics as much as we have in the office! Team GB and London as a venue have done us very proud. 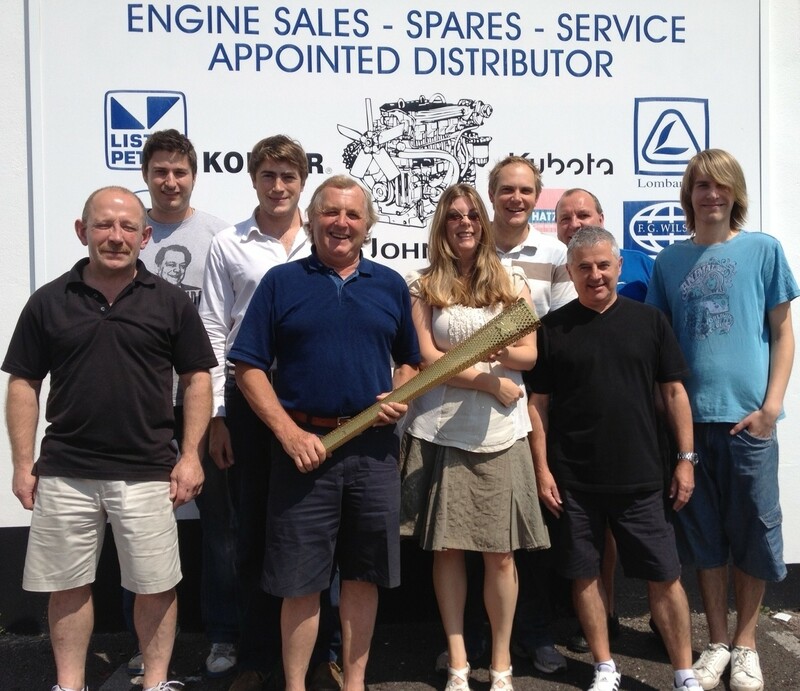 Here is Team Sleeman & Hawken outside our office with the Olympic Torch! How has your country fared at London 2012? Also get in touch for any assistance with any Lister Petter, Kubota, Yanmar, Bukh, Perkins, FG Wilson, Cummins, Lombardini, Kohler and Hatz enquiries. We can also offer many other engine manufacturers as well as general products available in the UK that you would like us to export to you. Keith Mason and the team. Please i am a business man and i deal on lister engine and spare parts. I need some spare parts of which that non of your distributor are intrested in bringing this parts in nigeria instead they bring china parts. Meanwhile i need to come and buy some parts because we lack the orignal parts. I need crankshaft for lister petter Ph2. Because most user want to dump the engine for china engine because of spare parts. I will be glad if you reply me through my mail. Yes we deal in original in original Lister Petter spare parts, indeed we have one of the largest stocks of Lister Petter parts under one roof, and already deal with many African companies including Nigeria. If you send any queries or request to us by email on sales@sleeman-hawken.co.uk we will quote you accordingly.